Don't have a login? Register Now! Posted on 21/08/2013 at 10:09 PM. I'm selling this 2001 Quintrex Hornet. 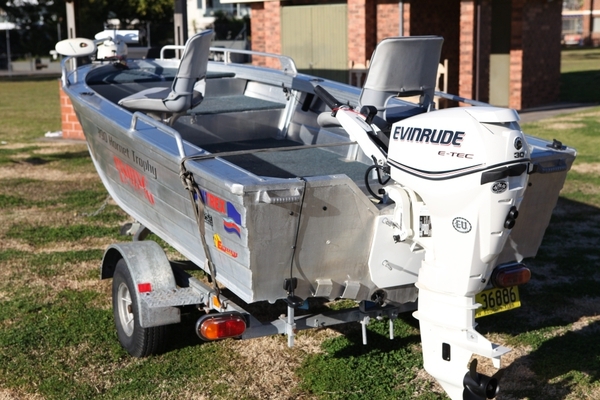 It's in excellent condition and comes with a brand new 2013 (only used once) 30 hp Evinride E-TEC. The E-TEC has a full 5 year warranty and 3 years non-service period. 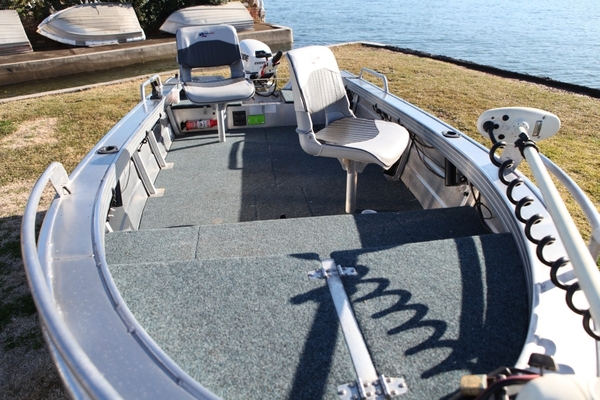 The boat comes with a 55lb Minn-Kota bow mount electric, fully carpeted with casting platforms front and back, basic Humminbird sounder, new trailer bearings, new trailer springs, 12 months rego on boat and trailer, and all inshore safety gear. Call me on 0414 235 520 or email scottthomas@yaffa.com.au for more details. Posted on 21/08/2013 at 10:11 PM. Posted on 22/08/2013 at 07:17 PM. That must be almost the cost of the new motor Scott. A really tidy rig mate, shame to let her go. Is that a fish in your pocket or are you just happy to see me? Posted on 22/08/2013 at 10:24 PM. Hey Rob, yeah i got a really good deal on the new outboard so I was able to keep the overall price down for a quick sale. It's a bargain for someone wanting a good tinny. Posted on 22/08/2013 at 10:25 PM. 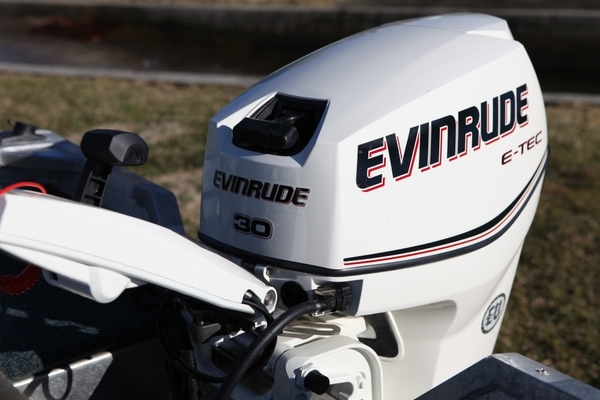 Here's a close-up pic of the new 30hp E-TEC. Posted on 01/09/2013 at 04:17 PM. Posted on 18/05/2016 at 03:35 PM. It's a bargain for someone wanting a good tinny.??? ?